C.O.M.E.T. (Citizens of Maspeth and Elmhurst Together) President Roe Daraio never paid any attention to the commuter vans that operate throughout Queens until several members of her civic group made complaints about double-parked vans on residential streets in Maspeth and passengers that littered while they waited to be picked up. Suddenly, she started noticing the vans everywhere. She decided to look into the commuter van routes, but was unable to find that information, so she made a FOIL (Freedom Of Information Law) request from the city. She received a packet of maps clearly indicating the geographic zone in which each van authority is allowed to operate. Information for Transxpress and J&HE, the van authorities that Daraio has received the most complaints about, was not included. However, Daraio maintains that the commuter van issue never went before Community Board 5, a detail confirmed by CB5 District Manager Gary Giordano, who has held the post for 20 years. According to Giordano, TLC-regulated vehicles are required to come before the board with base station applications and renewals, but he said that the protocol for commuter vans is unclear as the board has never been presented with an application or renewal for commuter van authorities. A QUEENS civic association is offering a fresh idea to help the cash-strapped MTA - force more locals to ride the bus. 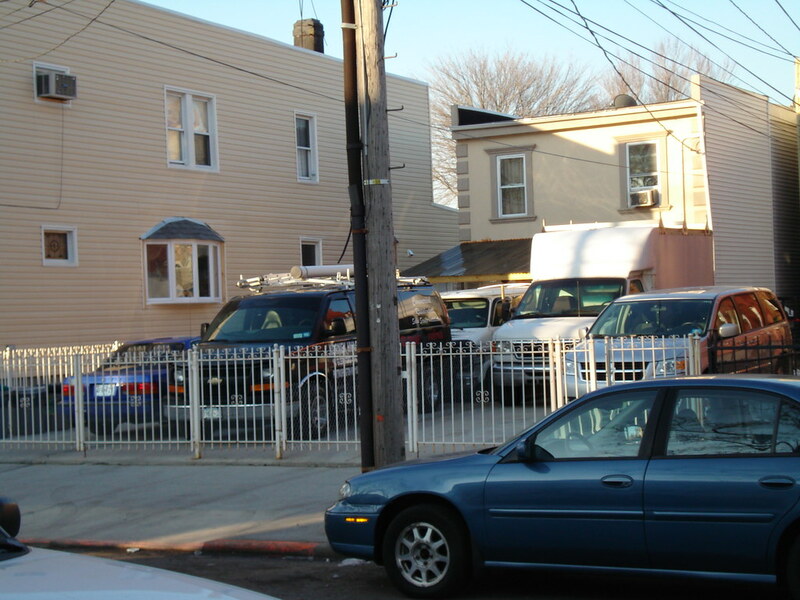 Commuter vans that illegally operate along bus routes in Maspeth have long poached fares from the struggling Metropolitan Transportation Authority, said Roe Daraio, president of Citizens of Maspeth and Elmhurst Together. Stricter enforcement of the gypsy van drivers, who block driveways and intersections to pick up passengers for about $2 a pop, could help the city generate more money in fines and prompt more people to pay for a MetroCard, Daraio said. "These people will pay their own salaries," Daraio said of getting more Taxi & Limousine Commission agents to patrol the local bus routes. "The lack of enforcement by TLC in our area is basically giving the green light to commuter van companies to operate outside their authorized zones," Daraio said. Waste Management has come back with a new plan to transport waste by rail which does not require double trucking it through western Queens. Waste Management will expand their site by purchasing a nearby parcel of land which can accommodate loading of the trains on site. Private roads between the two sites will be utilized to prevent disrupting businesses that share the community driveway at the original site. This eliminates the need for the trucks to haul the garbage to the Maspeth Railyard, which is in close proximity to homes. Here are the details and here is a the Solid Waste Management Plan's fact sheet. We thank our elected officials for their advocacy and Waste Management for their open mindedness and responsiveness. Every day commuter vans prowl residential streets, pick up passengers along bus routes (currently prohibited under TLC regulations) and block intersections and residents’ driveways. According to Daraio, numerous requests to the agency to enforce their regulations have fallen upon deaf ears. She said the local precincts are sympathetic to the problem but are not trained to write many of the summonses necessary to curtail the activity. Since crime is up and the officers are needed for patrol, it is unlikely that they will be trained in the near future. What many folks find interesting is that the City has no problem summonsing a motorist who is parked at an expired parking meter, is double-parked or is dropping someone off at a bus stop, but does no enforcement of commuter van companies blatantly disobeying regulations. A crackdown would likely collect tens of thousands of dollars in revenue that the City could use during this budget crisis, not to mention improve the quality of life of the people living in neighborhoods plagued by illegally operating commuter vans. In April 2009, C.O.M.E.T. met with TLC Commissioner Matthew Daus to discuss the lack of enforcement of commuter van regulations. Issues brought up included: companies discriminating as to whom is picked up, the lack of information about routes and destinations, why a particular route was approved or even phone numbers to contact companies to schedule rides. The meeting resulted in a few summonses being written but with no follow up. To obtain the route information, C.O.M.E.T. was told they needed to make a FOIL (Freedom of Information Law) request, and at the time of the meeting TLC claimed they didn’t even know where the authorized routes were in the area. Other complaints about the commuter vans - including reporting a licensed van that did not have any name or markings on it - went unaddressed and the activity continues today. After FOILing the commuter van routes, C.O.M.E.T. made a startling discovery: only one commuter van company is authorized in the Community Board 4 area and that route does not encompass Elmhurst south of Queens Boulevard and does not extend into Woodside or Maspeth. That means every single commuter van operating in these areas is doing so illegally. Chancellor’s presentation will include student achievement, school finances and NYC’s educational goals and priorities. The public is welcome to attend. There will be an opportunity to offer public comment. Interpretation services will be available.